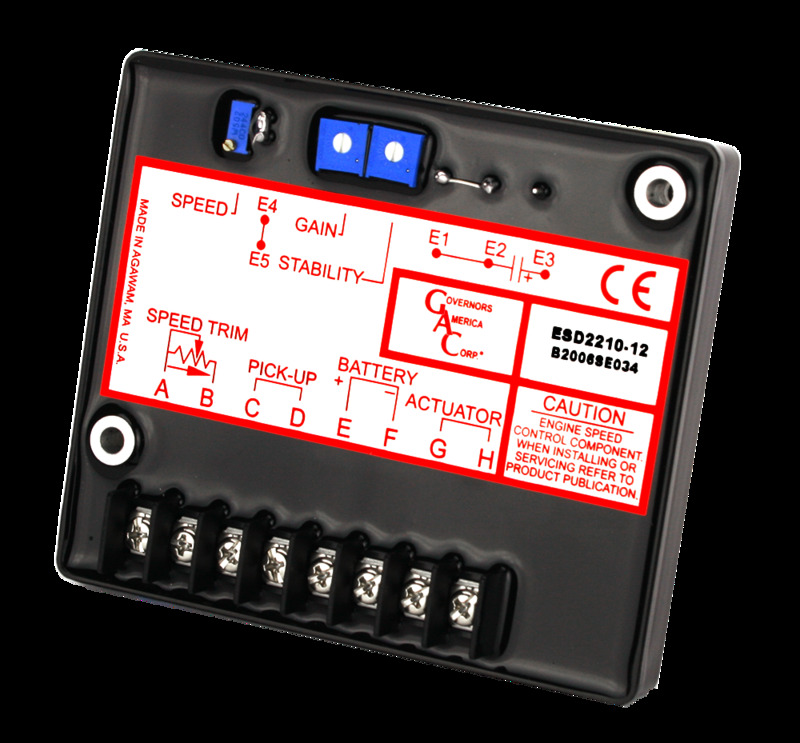 ESD2210 SERIES (CE)- ANALOG GOVERNORS The ESD2210 Series speed control unit is an all- electronic device designed to control engine speed with fast and precise response to transient load changes. This closed loop control, when connected to a proportional electric actuator and supplied with a magnetic speed sensor signal, will control a wide variety of engines in an isochronous or droop mode. It is designed for high reliability and it's hard potted to withstand the engine environment.